We take pleasure to introduce ourselves as one of the renowned organization for offering a best-in-class range of Welded Wire Mesh. Specification: Available in Stainless Steel (SS), Galvanised Iron (GI), Mild Steel (MS), PVC Coated from. 9mm wire to 14mm rod and width upto 2.5 meter. We are remarkable enterprise, involved in offering superior quality Galvanised Wire Mesh. 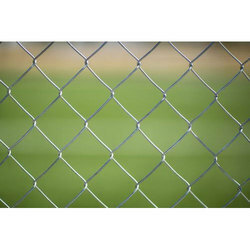 We are instrumental in offering Galvanized Welded Iron Wire Mesh. With voluminous experience in this domain, we are the prime Manufacturer of superior quality Galvanized Welded Iron Wire Mesh Wires. We are committed to provide them in various sizes as per the specification of the clients. 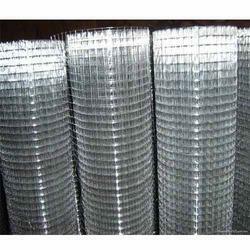 We are manufacturing fine quality of welded wire mesh. Another pioneering idea from Jindal Steel and Power, Welded Wire Mesh is a new and efficient product which is aimed to expedite the construction process. It is a processed steel product that consists of rebars welded together to form a grid pattern.